Acrylic Display Frames show Custom Graphics in Style! Acrylic Display Frames show Custom Graphics in Style! This Table Top Tent holds (2) 4” x 6” graphics in Landscape Format! 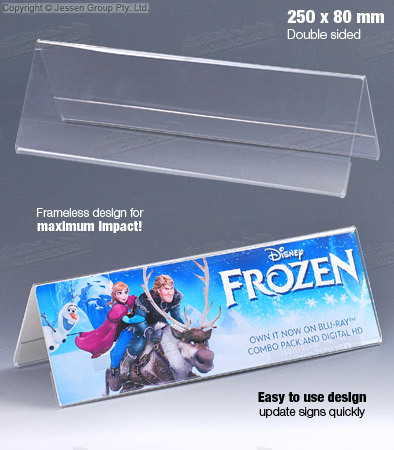 Dual-sided display perfect for reaching out to more customer at once without taking up space! 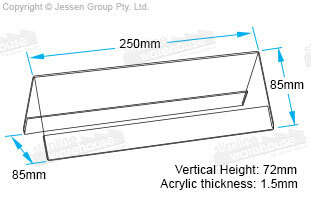 These acrylic display frames are made from 1.5mm thick bent acrylic that ensures a durable display that is sold at a low price! The clear frame makes reading displayed graphics easy, as well as protecting posters from gathering grime or dust during use in order to maintain a professional stand! The clear sign holders, acrylic display frames are designed to hold 250 x 80mm graphics that are in landscape orientation, and are perfect for use in a number of different locations. Some of the businesses that have already purchased this type of display includes casinos, hotels, cafes, restaurants, retail stores, travel agencies, doctor offices, news agents, and bakeries! 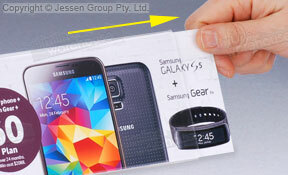 The plastic holders feature a slide in design to make switching graphics out fast and easy. No tools are needed to change out posters in less than 60 seconds, and the angled design keeps posters in place. These holders are offered at a low price to be affordable for every business, making it easy to outshine the competition! These dual-sided displays allow you to advertise in multiple directions at once without taking up additional counter space, leaving room for placement of products or merchandise! These angled displays are a great addition to the marketing effort of any location, allowing vividly designed graphics to easily be read and placed right next to items for customer's to easily read additional information or sale prices! These clear plastic sign holders give you an easy way to promote to passersby right next to products to help get them to purchase your goods or services. 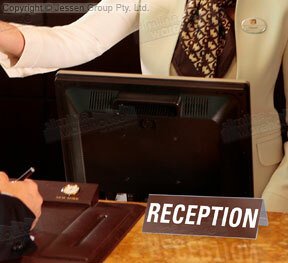 The variety of POS signage frames help any business to reach out to customers in a stylish manner. Click here to see the large variety of goods that we have for sale now! New items are added weekly, and our conveniently categorised online catalogue make it easy to find the exact products that will help to put your business ahead of the competition! Slimline Warehouse has been a national leader for over 20 years, providing Australian businesses with top quality goods at prices that can't be found anywhere else online! Our warehouse is able to provide same day despatch to anywhere in Australia with most in stock products purchased by 1pm EST, including to Sydney, Melbourne, Perth, Adelaide, Canberra, Gold Coast, Brisbane, Townsville, & Hobart!